Hi, my name is Matthew Britt and thank you for taking the time to look at my Checkatrade page. 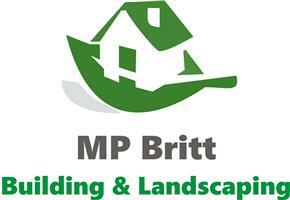 I am 32 years of age and i have been working in the construction and landscaping industry since i left school at 16. As well as being a qualified bricklayer i have picked up many skills through this time. I operate as a sole trader and have two members of staff and a long list of very good sub-contractors to help get all aspects of building projects complete. We thrive on taking the time to produce a high standard of work and my main passion during big projects is to make sure that customers feel confident, happy and always engaged in the project so that all parties have peace of mind.